Hyundai Motors India recently launched the new i20, dubbed iGen i20 in its premium hatch segment. With cosmetic updates, spacious interiors and freshly packed features, the hatch displayed the Korean automaker’s ‘Fluidic sculpture’ design language. With this, Hyundai also kick started the “I live the Uber Life” campaign, under which, people got a closer look at the Korean automaker’s marvelous engineering. Uber Life translates to ‘beyond the usual’, and so was the marketing campaign of Hyundai. 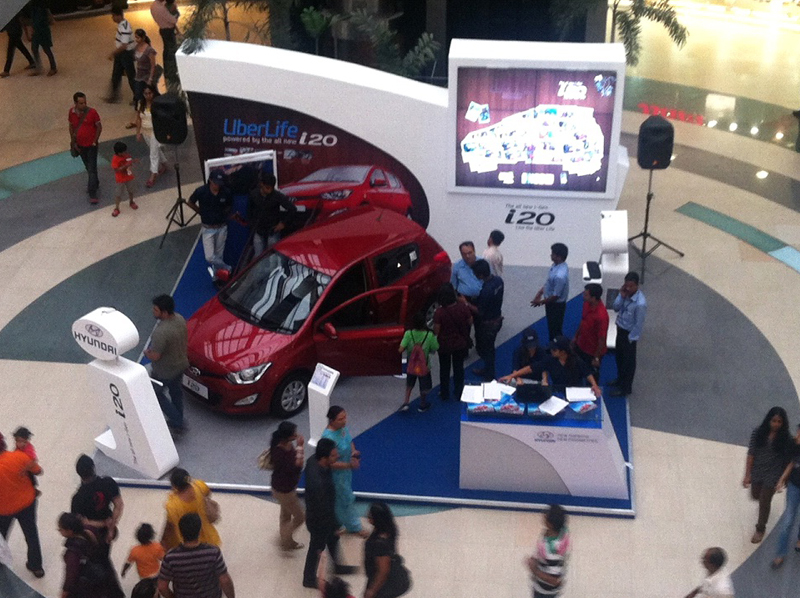 The purpose was to allow people to explore the latest iGen i20, which were displayed at malls across Inda, and the people could enjoy the car’s luxurious interiors, click pictures and print them. Last weekend was entirely dedicated to the Uber Life campaign, targeting 5 major cities in the country – Mumbai, Delhi, Bangalore, Hyderabad and Chennai. With people getting exclusive time to spend with the car, the response was tremendous. Hyundai’s new hatch was admired by the visitors as they explored the upgrades, features and comfort of the iGen i20. The malls were bombarded by people, and Hyundai also organized quizzes, allowed pictures and gave the visitors an Uber experience. The Korean automaker’s marketing strategy was a grand success; but will it affect the sales chart?